He is a Data Scientist with 15+ years of experience on Information Technology and has executed Mission Critical IT Solutions in United States, Europe and Asia Pacific for Govt. of India, Corporate & Multinational Organisations. 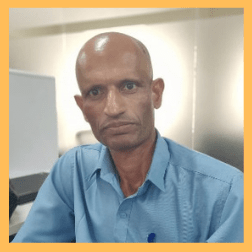 He has expertise on Data Science, Machine Learning, Artificial Intelligence, Business Analytics & Big Data as a Trainer, Consultant & Speaker for Engineering Colleges / Universities / Govt. of India and Top Corporate including Bangalore University, REVA University, Visvesvaraya Technological University (VTU), Indian Institute of Technology (IIT), Defence Research Development Organisation (DRDO), Ministry of Defence, NASSCOM, AT&T, Samsung and many many more. He is a Certified Data Scientist and Cyber Security Expert from Govt. of India. He is also Microsoft Certified System Engineer and Cisco Certified Network administrator.